​Ryder Hesjedal, cyclist (born 9 December 1980 in Victoria, BC). 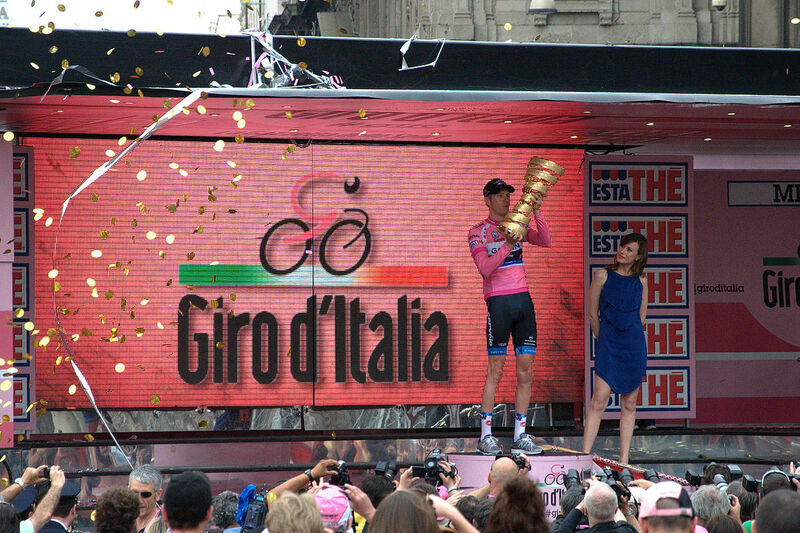 Ryder Hesjedal is a retired Canadian professional cyclist, and the first Canadian to win a Grand Tour race with his victory at the 2012 Giro d’Italia. He competed in international races between 1998 and 2016, first in mountain biking and then in road racing, and represented Canada at three Olympic Summer Games. Sam Etcheverry, football player (born 20 May 1930 in Carlsbad, New Mexico; died 29 August 2009 in Montréal, QC). Etcheverry turned professional with the Montreal Alouettes in 1952, and later earned his nickname of "The Rifle" as a quarterback. 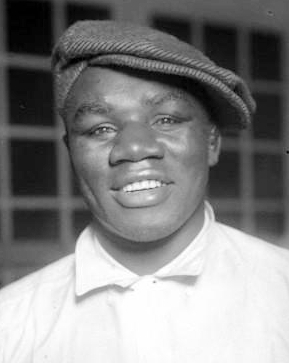 Sam Langford, boxer (born 4 March 1886 in Weymouth Falls, Nova Scotia; died 12 January 1956 in Cambridge, Massachusetts). Langford was a professional boxer who competed across multiple weight classes during his 24-year career. A well-rounded boxer with fierce punching power, Langford often found success against much larger opponents and garnered praise as a fearless competitor. Despite an impressive winning record and praise from icons of the sport, Langford faced racial barriers that prevented him from competing for a title during an era when White champion boxers didn’t want to be seen losing to Black opponents. Though he was crowned heavyweight champion of England, Australia, Canada and Mexico, Langford is considered one of the best fighters never to win a title in the United States. Langford lost his vision during a fight later in his career, which ultimately forced his retirement. He was inducted into Canada’s Sports Hall of Fame in 1955, one year before his death. Langford’s professional record varies depending on the source — with the most comprehensive listing 214-46-44 with 138 knockouts. Some historians contend that Langford may have fought in over 600 matches. Sandra Marie Schmirler, curler (born at Biggar, Sask 11 Jun 1963; died at Regina 2 Mar 2000). Sandra Schmirler, dubbed "Schmirler the Curler," was considered by many to be the best female curler in the world in 1998 when she led her foursome to the first ever OLYMPIC gold medal in the sport. If there was any sense that curling was not getting the respect it deserved at the 1998 Nagano Winter Olympics, Sandra Schmirler never let on. Sanford Desmond Hawley, jockey (b at Oshawa, Ont 16 Apr 1949). 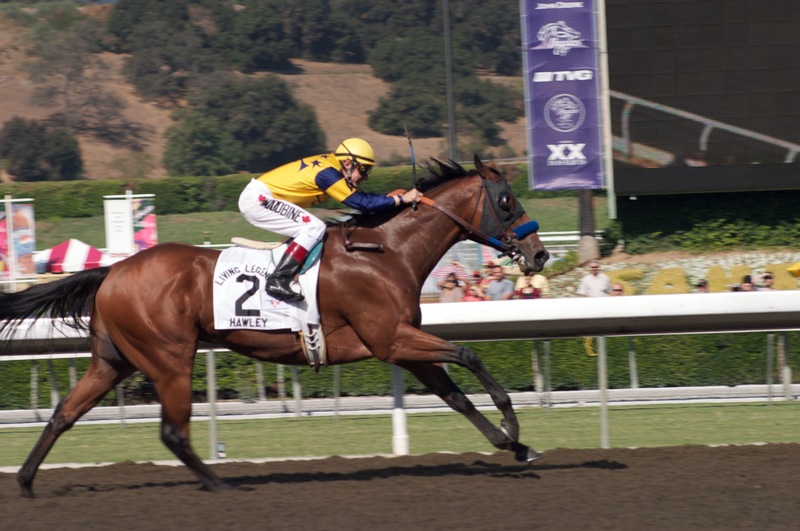 Riding professionally since 1968, Hawley has been one of N America's most successful jockeys. Sarah Burke, freestyle skier (born 3 September 1982 in Barrie, ON; died 19 January 2012 in Salt Lake City, Utah). Serge Aubrey "the Senator" Savard, hockey player (b at Montréal 22 Jan 1946). A stalwart defender, Savard began his career at 15 when he was noticed by a scout at a school hockey game, and within 2 seasons he was named captain of the Junior Canadiens. Sharon Adele Wood, mountaineer, guide (b at Halifax 18 May 1957). Shawn O'Sullivan, boxer (b at Toronto 9 May 1962). O'Sullivan's amateur record of 94-6 is matched by few Canadian boxers. From a boxing family, he started boxing at the Cabbagetown Youth Centre under Ken Hamilton, his original mentor. As a 16-year old, he won the Canadian junior title in Whitehorse. Shirley Firth, cross-country skier (born 31 December 1953 in Aklavik, NWT; died 30 April 2013 in Yellowknife, NWT) and Sharon Anne Firth, cross-country skier (born 31 December 1953 in Aklavik, NWT). Twin sisters Shirley and Sharon Firth, members of the Gwich’in First Nation, were among the first Aboriginal athletes to represent Canada at the Olympics, and were members of the first Canadian women’s cross-country ski team at the Olympics. ON THE FIRST TRULY WARM DAY of a Gaspé spring, Sidney Crosby is putting the pond back into HOCKEY. He and his Rimouski Océanic teammates have gathered at the Colisée, a gracefully aging 4,300-seater perched about a kilometre above the St.
Sidney Crosby (Sid the Kid), ONS, hockey player (born 7 August 1987 in Cole Harbour, NS). 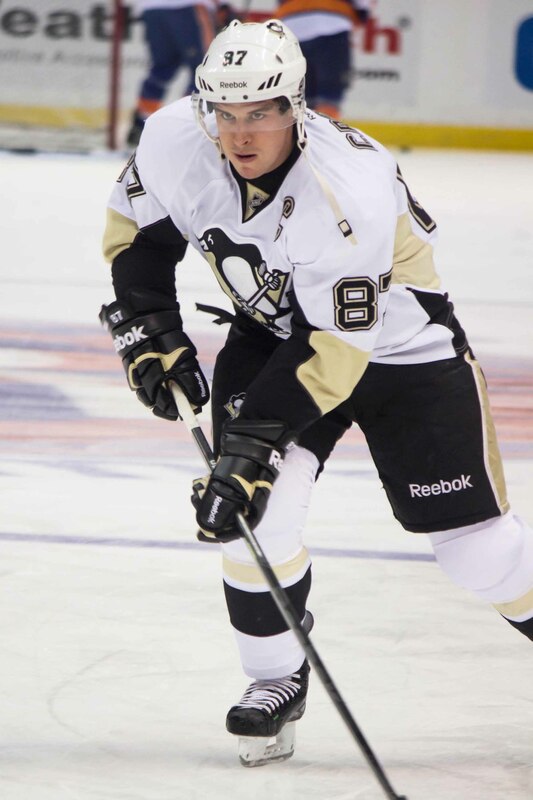 Crosby is a three-time Stanley Cup champion with the Pittsburgh Penguins of the National Hockey League and a two-time Olympic gold medallist with Canada’s men’s hockey team. He has won the Art Ross Trophy (2007, 2014), the Hart Trophy (2007, 2014), the Ted Lindsay Award (2007, 2013, 2014), the Maurice “Rocket” Richard Trophy (2010, 2017), and the Conn Smythe Trophy (2016, 2017). Crosby has also received the Lou Marsh Trophy as Canada’s top athlete of the year (2007, 2009) and the Lionel Conacher Award as Canada’s male athlete of the year (2007, 2009, 2010). By 1991 she had become the premier women's rower in the world, winning the World Cup championship and the World Championship that year. 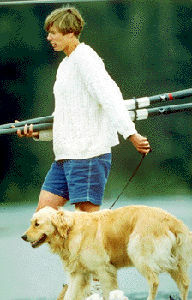 Two months prior to the 1992 Olympic Games in Barcelona, Laumann's boat was rammed accidentally when she was preparing for a regatta in Europe. Simon Whitfield, triathlete (born 16 May 1975 in Kingston, ON). 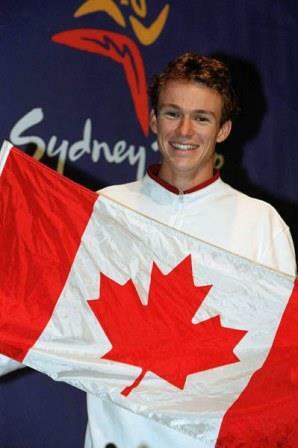 Simon Whitfield is a four-time Olympian and Canada's first-ever Olympic gold medalist in triathlon. Whitfield won gold at the 2000 Olympic Summer Games in Sydney, the first year that the triathlon was an Olympic event. Although he did not medal at the 2004 Games in Athens, he sprinted to a silver medal at the 2008 Games in Beijing. Whitfield was the Canadian flag-bearer at the 2012 Olympic Summer Games in London but crashed during the bicycle portion of the triathlon and was forced to pull out of the event. Whitfield has also amassed a total of 12 World Cup wins in addition to his gold and silver Olympic medals. 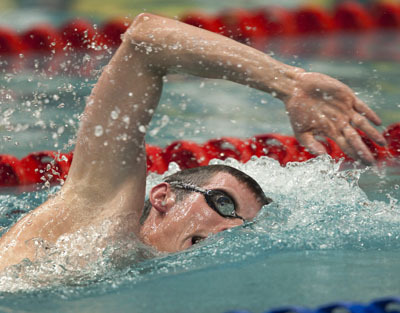 He retired from competition in 2013 and was inducted into Canada’s Sports Hall of Fame in 2017. For a few suspenseful seconds last week, tens of millions of hearts beat a little faster across North America. Maintenance workers hovered in the doorways of executive offices to catch a glimpse of the television screen. After a nine-month run, the show of shows was finally coming to a close. The afternoon is young, but the fan club is already gathering in the downtown haze. "We came for a week on vacation," says Pat Heckstall, lingering outside the Los Angeles County Criminal Courts Building where O. J. Simpson is on trial for murder.